Post updated since this morning, as news so good, we couldn’t wait to share! Our Village Square community in San Jose has experienced record sales success since announcing special year-end builder close out pricing at the end of October. Â 9 homes sold in just over two weeks – making it SOLD OUT! We are thrilled to welcome the 9 new homeowners into the SummerHill family. Â They join 86 homeowners at Village Square that have already purchased and moved into their new homes! Merimont, Redwood Gate and Satake Estates have sold 8 homes in the last 3 weeks – that is a total of 17 new SummerHill homeowners in just 3 weeks! 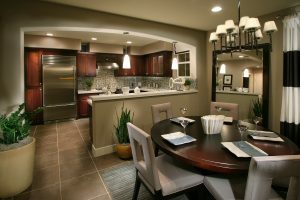 Satake Estates in Mountain View now has just 4 homes remaining, including the spectacular model homes. Â Redwood Gate in Palo Alto is getting ready for their final release with only 11 homes remaining. Â Merimont in San Bruno is also gearing up for their final release with only 12 homes of the 70 homes in the community remaining to sell. When we get close to selling out of a community, we are always a bit excited knowing that we are so close to completing another community. Â We invest a lot of time and energy into each of the homes that we build and it is tremendously satisfying to reach the time when we can say that a community is complete. Speaking of completing a community – Rosewood in Fremont had their final closing last week. Â Congrats to all the new homeowners at our Rosewood community! Â And a great big thank you to the entire SummerHill team for completing another beautiful community in Fremont! We are thrilled to welcome so many new homeowners into the SummerHill family! Â Many of the families will be moving in before the holiday season to enjoy their first holidays in their new homes.